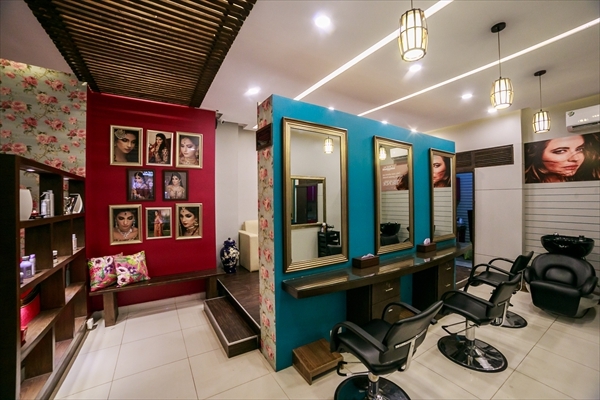 Furqan's Makeup Studio & Salon is a specialty salon that focuses on makeup and hair styling. In 2014, Furqan Ahmed, the well-known makeup artist, opened the salon to offer a professional and uplifting environment for his clients. Furqan Ahmed has been active in the makeup industry for about a decade. He has worked at “Nina Lotia” a well-known name in this industry for about 4 years. He has tremendous experience with bridal makeup. Furthermore he has worked with many leading models and actresses of the Pakistani entertainment industry such as Amna Sheikh, Fauzia, Eman Ali, Sonia, Mawra, Shaista, Annie Jafferi, Hina, and Ayeza khan to name a few. In dealing with various models he sure knows the best on-going trends. He has been trained at London College of Makeup Forever and Illamasqua in Beauty Cosmetology, Beauty Therapy and he also attended Advanced Hair and Makeup training courses in Turkey. Even after a decade Furqan remains passionate about his work and is personally involved with all the tasks and is often seen referring to his clients as the “queen”. Furqan can be found at his salon doing what he loves to do and giving each of his clients personalized advice on how to carry their look and style. What to Expect: A specialty makeup and hair salon that offers very specialized services in a professional atmosphere.